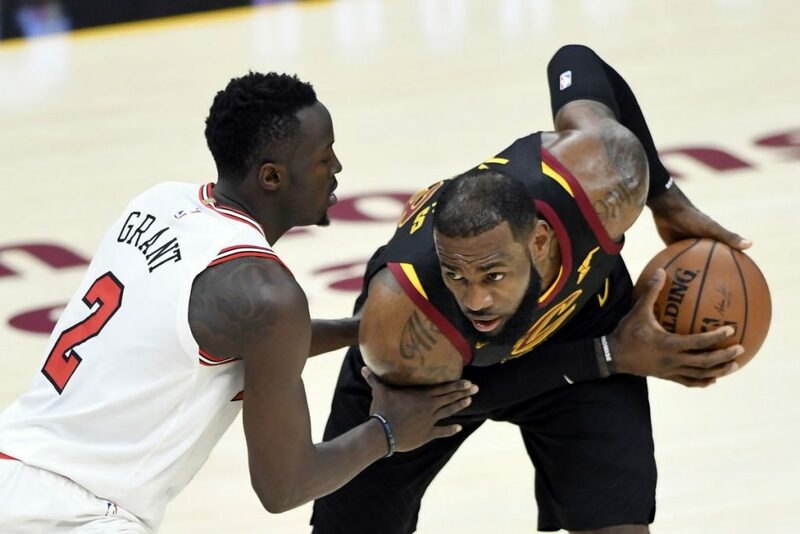 The impressive Chicago Bulls winning streak came to an end against the Cleveland Cavaliers, while the New York Knicks had another impressive home game, this time against the Boston Celtics. Out West, the Jazz handled the Spurs and the Suns sent the Grizzlies into bigger problems. Toronto Raptors 114 Philadelphia 76ers 109: DeMar DeRozan had a career-high 45 points to lead the Raptors against a Sixers team that’s slipping with Joel Embiid. Kyle Lowry helped out with 23 points, although he did turn the ball over 7 times. Ben Simmons led the Sixers with 20 points. Boston Celtics 93 New York Knicks 102: Despite 32 points from Kyrie Irving, the Celtics didn’t look good against a Knicks team that’s very difficult to beat at home. Michael Beasley backed up his talk with 32 points off the bench, shooting 65% from the field and grabbing 11 rebounds. The Knicks shot 57.1% from beyond the arc. Memphis Grizzlies 95 Phoenix Suns 97: The Grizzlies continue to fade away from relevance, shooting just 19.2% from beyond the arc against the talented Suns. T.J. Warren led Phoenix with 27 points. Josh Jackson scored 13. San Antonio Spurs 89 Utah Jazz 100: The Spurs have been struggling of late, and Salt Lake City is never a good place to visit when things aren’t running smoothly. Despite playing without some of their key players, the Jazz looked good on both ends of the floor, led by Rodney Hood with 29 points, while Ricky Rubio helped out with 11 points, 11 rebounds and 7 assists. Bryn Forbes was the top scorer for the Spurs with 12.